Yesterday I had an idea how I could fix the last remaining problem in my udp multicast to tcp unicast proxy server (YAPS). My idea was now, that those glitches are possibly there because some bytes of the header remain in each packet and therefore the movie stream itself is destroyed. 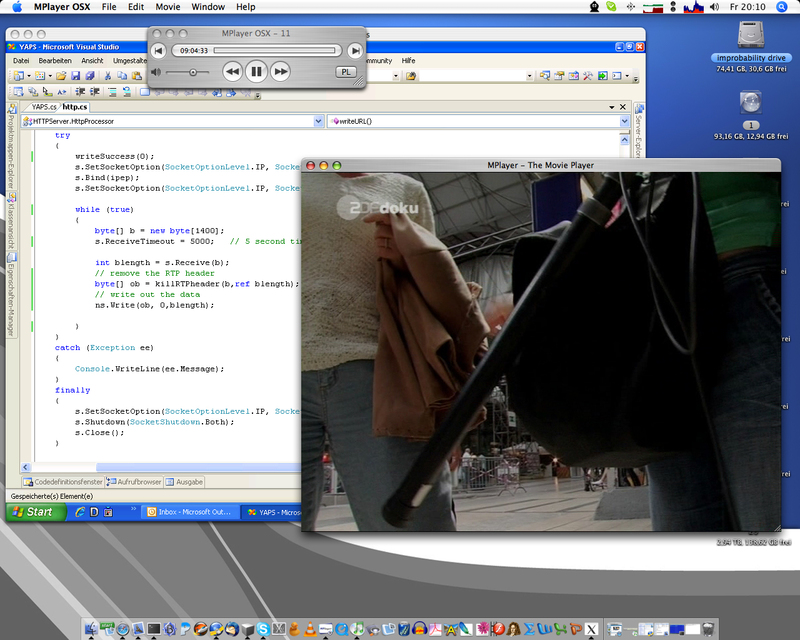 MPlayer was able to display something, but as I said…glitches. The results speak for themselves: A perfect sound and picture. Beside that I added some additional features. Read the source and you’ll find out.